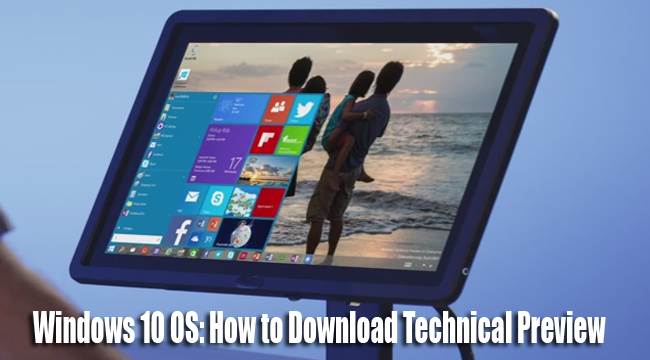 Home Business Entertainment News technology Tutorials Windows 10 Meet the Windows 10 OS as The Best Windows Ever and Be Part of Technical Preview, Download Now! Meet the Windows 10 OS as The Best Windows Ever and Be Part of Technical Preview, Download Now! On September 30, Windows posted a video preview on YouTube introducing their newest installment, Windows 10, calling it the best Windows ever. While many where taken aback expecting a ‘Windows 9’, Microsoft explained that it such a huge leap from the Windows 8 that its names gives it justice. In the video, Window’s Vice President Joe Belfiore talked about its features and invites people to try it out by taking part in Windows 10 Technical Preview and Windows Insider Program. They want to involve tech enthusiasts in their software development process for the next several months making feedbacks part of the program’s development. The tech preview is meant for pc experts comfortable downloading unfinished softwares. If you are interested to be a part of the Windows 10 Technical Preview, here are the 10 things you need to know as discussed by in the video below. 1. To start with, you must first download and install the Tech Preview and you are recommended to download and install it in a secondary PC as it is still not yet finished and you would be expected to experience some rough edges. Belfiore promised that the program would be updated regularly. 2. One of the benefit as a Windows Insider is having more frequent updates with earlier but less polished software. 3. You would have access to Windows feedback app where you can send your feedbacks directly to Microsoft. A lot of polishing is expected until it will be smooth and finish and you will be the first to test it. 4. Windows ‘Start Menu’ is back and bigger, with the tiles familiar with Windows 8 where you can personalize by putting tiles of apps and websites. 5. Search is also back with the start menu and task bar. 6. App Store in the task bar would open up in full screen and you can even resize, minimize, close, and move it around. 7. Task view button is added to simply see the open windows and and apps. 8. You can snap the windows as much as 4 windows simultaneously. 9. You can add up a desktop and simultaneously open them. 10. You download the program and sign up through preview.windows.com. Ready to meet the Windows 10?